Little, Brown has acquired The Long Separation: The Indian Army in the First World War by George Morton-Jack. Richard Beswick, m.d. of Little, Brown, pre-empted UK and Commonwealth rights (excluding Canada) from Jonathan Conway of Jonathan Conway Literary Agency. The Long Separation will be published as a lead title on the Little, Brown list in 2017. North American rights were acquired by Basic Books from the Zoe Pagnamenta Agency on behalf of Jonathan Conway. Beswick said The Long Separationwill be a "genuinely revelatory book, on both the grand and human scales, by a brilliant young historian." The book will tell the largely overlooked story of the 1.7 million Indian volunteers who fought across the continents from 1914 to 1918, saving the Allies from defeat at the start and propelling them to victory at the end. 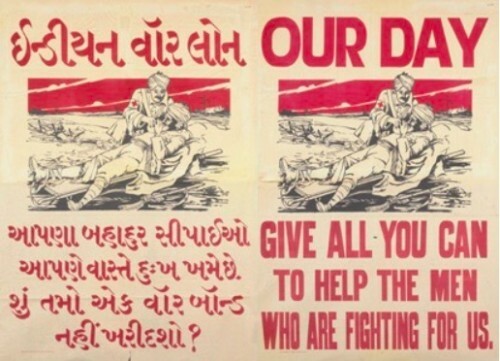 The book will also draw on never-before-seen archival material to consider the Indian home front, and the war's effect on the mothers, wives and children of Indian servicemen. George Morton-Jack studied history at Oxford University before becoming a barrister. He wrote his first book on the First World War, ‘The Indian Army on the Western Front’, for Cambridge University Press.